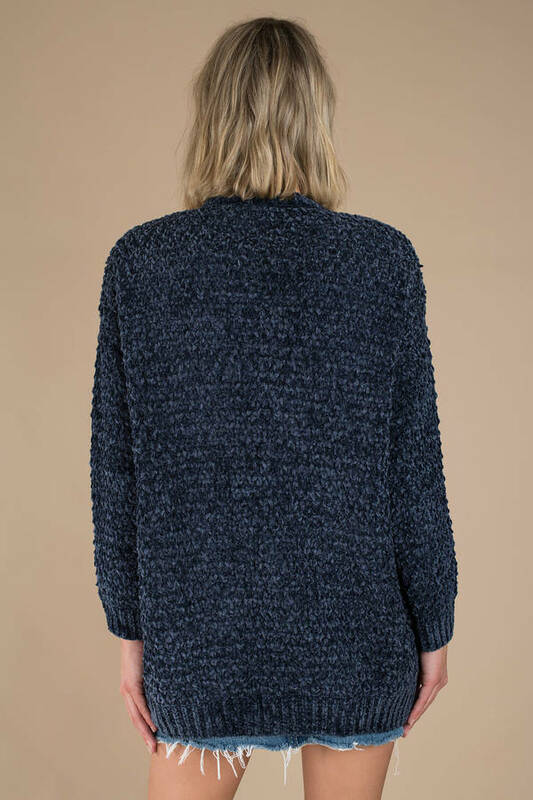 Check out Tobi's Rasheda Chenille Knit Cardigan It's only cozy feels in the Rasheda Chenille Knit Navy Cardigan. 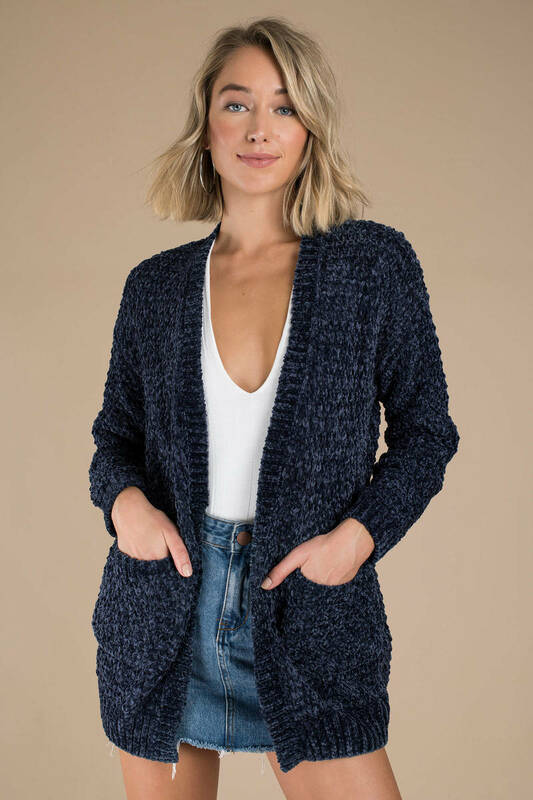 This chenille open front cardigan features long sleeves, two side pockets, and a comfortable slouchy fit. Breeze through winter by pairing this warm cardigan with a long sleeve tee, leggings, and ankle boots. 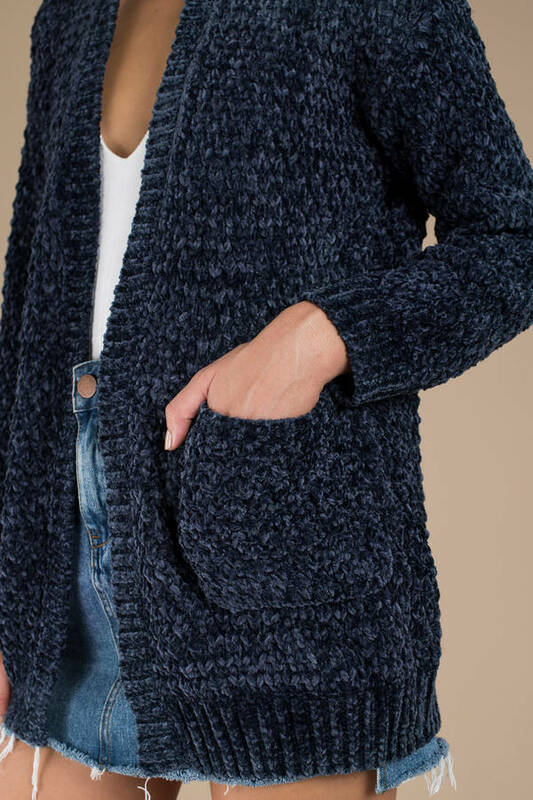 It's only cozy feels in the Rasheda Chenille Knit Navy Cardigan. This chenille open front cardigan features long sleeves, two side pockets, and a comfortable slouchy fit. Breeze through winter by pairing this warm cardigan with a long sleeve tee, leggings, and ankle boots.